Datsun today revealed sketches giving a preview of the first new generation Datsun car, which will be unveiled at a world premiere event in New Delhi, India on July 15th, 2013. The car will be the first product aimed for the Indian market – and the first of the future Datsun model line-up to be launched from 2014. 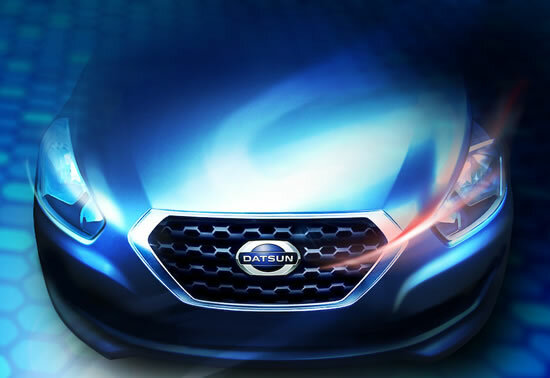 Although Datsun models will be individually developed for different markets, the concept will follow a common inspiration. All future Datsun models will offer up-and-coming customers in high-growth markets an engaging driving experience, peace of mind ownership and accessibility at the right and transparent price with a competitive Total Cost of Ownership. These product values will be supported by Nissan Motor Company’s experience as a global car manufacturer and technical expertise for local optimized solutions. The 21st century Datsun will deliver a rewarding brand experience with no compromise in terms of accessibility, reliability and durability – the values deep routed in the Datsun heritage. It marks a significant milestone and a new chapter in the history of this legendary brand aimed for high-growth markets like India, Indonesia and Russia in 2014 to be followed by South Africa later in the year. Datsun also launched a new website today at 5 pm JST.